The 23rd annual Critics’ Choice Awards unveiled its nominees Dec. 6. Guillermo del Toro’s “The Shape of Water,” which premiered at the Venice Film Festival back in August and was awarded the festival’s highest prize, led the pack of this year’s critical darlings with 14 nominations, including Best Picture. 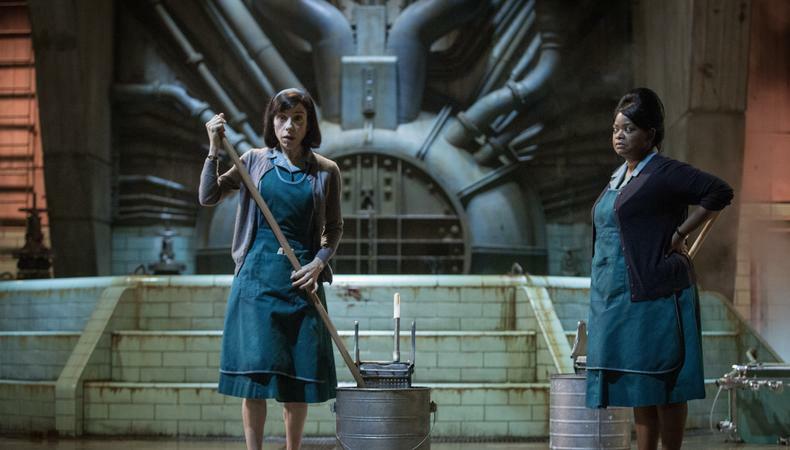 The sci-fi fantasy flick also received nominations for Sally Hawkins, Richard Jenkins, and Octavia Spencer for Best Actress, Best Supporting Actor, and Best Supporting Actress, respectively. Along with its 14 nominations, the Fox Searchlight film has been receiving its share of accolades, most recently winning three Los Angeles Film Critics Association awards for Best Direction, Best Actress, and Best Cinematography. Sony Pictures Classics’ “Call Me By Your Name,” Warner Brothers’ “Dunkirk,” A24’s “Lady Bird,” and 20th Century Fox’s “The Post” also had impressive showings with eight nominations each, all sharing nominations for Best Picture and Best Director, spurring Oscar hopes. “Call Me By Your Name” star Timothée Chalamet, whose performance has already won him Gotham, NYFCC, and LAFCA awards, was honored with a Best Actor nomination. Other critical favorites, including Amazon Studios’ “The Big Sick” and Fox Searchlight Pictures’ “Three Billboards Outside Ebbing, Missouri,” as well as Universal Pictures’ “Get Out” and Neon’s “I, Tonya,” also received numerous nominations. The Critics’ Choice Awards are presented by the The Broadcast Film Critics Association and the Broadcast Television Journalists Association, honoring achievement on both the big and small screens. On the television side, Netflix led the honors with 20 nominations, followed by HBO with 15, FX with 13, and ABC with 12. FX’s “Feud: Bette and Joan” was honored with six nominations, while HBO’s Emmy-winning “Big Little Lies” and FX’s “Fargo” earned five. This year’s L.A. ceremony will air on the CW Jan. 11. For a full list of Critics’ Choice nominees, click here. And to keep up with Backstage’s awards coverage, click here!